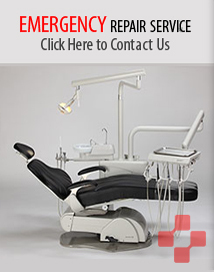 Blackdown Dental offers an emergency call out service for all types of equipment. Do you want to avoid costly and inconvenient cancellation of appointments? Blackdown Dental are available when you need us most; we aim to respond to emergency call outs within one business day, same day if possible and after hours if necessary. We carry a vast array of replacement parts and aim to complete the job on the first visit. If you are within our area, from Bristol in the north to Plymouth in the south, including Bath, Trowbridge, Weston-super-Mare, Taunton, Yeovil, Chard, Tiverton, Barnstaple, Exeter, Okehampton, Torbay, West Dorset and their surrounding areas, give us a call.